Many thanks to all the people who contributed to the 2012 STAR 102.5 Combat Hunger food drive November 9 to 16. Merchants Bonding has had the fun of contributing many truckloads of food over the years of participation. The food is all donated to the Food Bank of Iowa, where it is sorted and distributed throughout Iowa by partner agencies. Programs like Backpack Buddies serve 2,220 children each week. These are tough times for many Iowans and the 216,505 lbs. 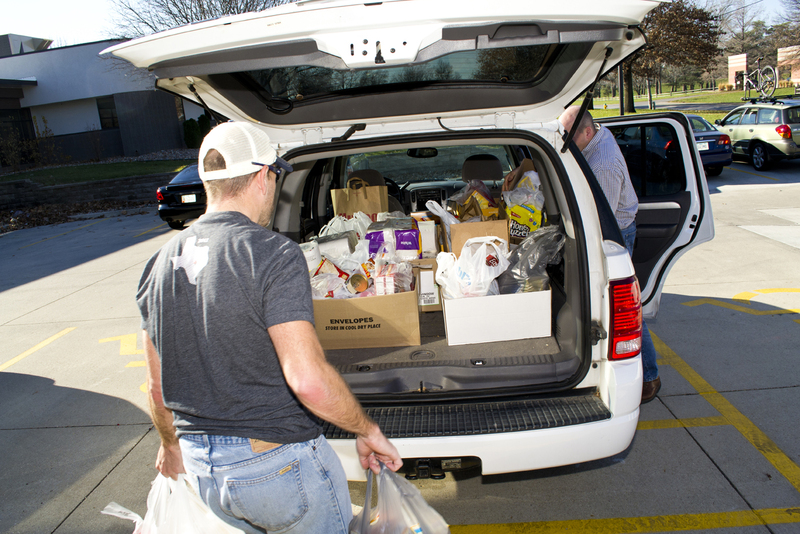 of food donated this year (10,000 more than last year) helps bring relief to those who are hungry. While many people donate to Combat Hunger, a key factor in the success is the food drives that take place in offices like ours. It is this conscientious effort that makes Combat Hunger successful.